Caroline was one of the sickest people I had ever seen. Her bones pressed against her skin and her hair was white from malnutrition. She didn’t walk and barely spoke, but tears streamed down her cheeks. At 20 years old, Caroline had been married and given birth to a daughter, she contracted HIV from an unfaithful husband, was divorced by that same husband when he discovered she had AIDS, was abandoned by her parents when they discovered she had the virus, and she moved to her grandmother’s house to die. Caroline had a four year old daughter: a wide-eyed little girl named Eunice who clung to her mother like Caroline might sift through her fingers like sand at any moment. The ARVs weren’t working. The end of Caroline’s life seemed devastatingly near and she was aware of this. Her eyes were clouded by hopelessness. “What is your family’s biggest need?” I asked the grandmother. “Food,” she replied. The family survived on one plastic bag of rice per week. No wonder Caroline’s medicine was failing her when her frail body had no nutrition to help her fight. When I looked at little Eunice, I saw Caroline. A partial orphan who would receive no education, who would probably marry young and give birth to children she couldn’t afford to feed. Eunice seemed doomed to follow in the footsteps of her mother into a generational cycle of extreme poverty that neither of them could control. CRF impacts lives and empowers the poor. 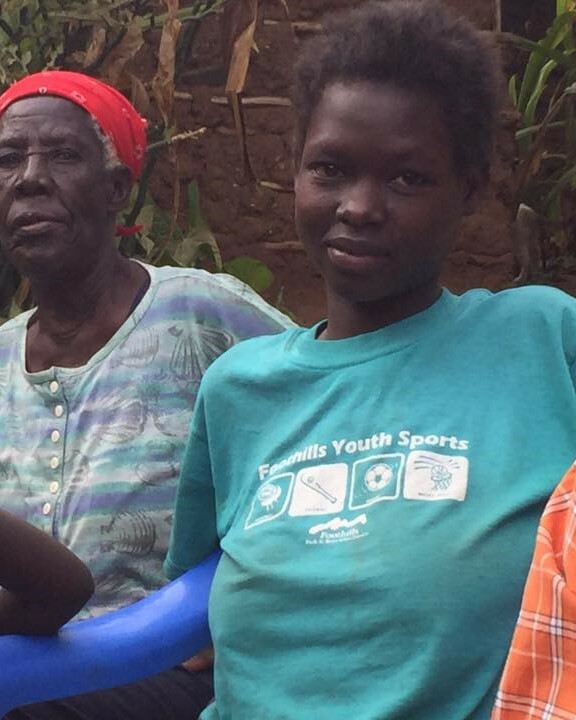 Eunice is sponsored now and among the top of her preschool class. Education will reduce her chance of teenage pregnancy by almost 80%. Caroline is receiving daily food. She can walk again—and perhaps soon she will be strong enough to learn a trade and start a business of her own. This family is full of strong women, and in their future is nothing but healing hope.